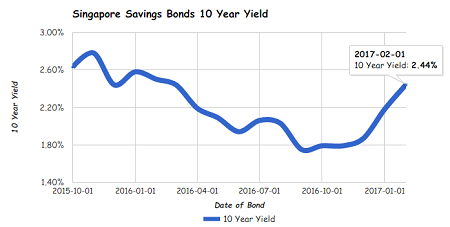 Last month’s bond yields 2.18%/yr for 10 years. Some observations based on past and present yield on SSB. Seems like SSB began with relatively higher interest than its subsequent offerings. It seems in line with increase in fed rate in Dec 15 and further expectations of increase and subsequently disappointment when expectation of fed rate increases not met. Jan and Feb 17 yield also seem to correspond to expectation of rise in fed rate in 2017. Just observation – no conclusive evidence on the topic. hi JC, thanks for the work you done. I been trying to observe a trend but did not notice anything that i find that amount to something i can use. 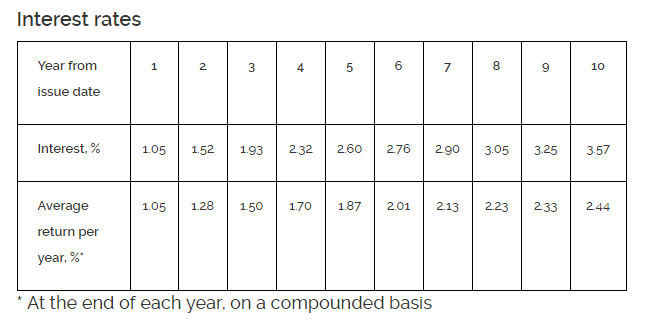 I believe with rates like this, if you can get a generic fixed deposit that is comparable to a SSB, you could go for it. We just want to make sure that the risk level is almost the same.